If you are looking for a small and powerful car at an affordable rate we have just the right car for you we offer a 2013 Fiat which is in excellent working condition and we assure you that you will not be disappointed after buying it. 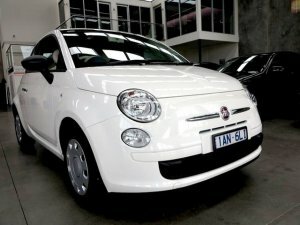 Apart from this we have a wide range of second hand cars in Melbourne. Autoline Car Sales are one of Victoria's leading independent car dealerships with over 30 years experience ! Every vehicle we advertise is of high standard with kilometres, condition, vehicle history important to us, please expect a decent vehicle when you come in to visit us. Autoline Car Sales have access to the leading finance lenders inc BMW and MACQUARIE. If you do have interest in one of our vehicles please put through an inquiry and you will be contacted promptly. Our vehicles don't hang around long so get in when you can.